Joy Bible Institute opened its doors to students in 1981. JBI was founded to train pastors for the Assemblies of God of Vanuatu. Today we are training pastors not only for Vanuatu, but also for such island nations as the Solomon Islands as well as other Pentecostal churches. In 1972, Rev. Ronald Killingbeck and his family moved to the northern Vanuatu island of Espiritu Santo to pioneer a church in Luganville. During this time, Ron and Joy Killingbeck began talking with the national church leadership about the need for a Bible training program in Vanuatu. 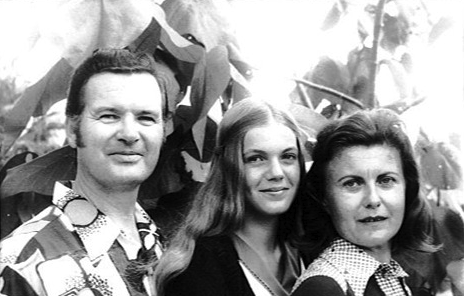 During their furlough in 1977-78, they raised funds in the United States to build a Bible school in Vanuatu. In January 1979, Ron and Joy returned to Vanuatu to start building the present JBI campus in Port Vila. Their daughter Lori stayed in the United States for college. But Joy Killingbeck had been fighting cancer for almost five years and was not well. She had returned to Vanuatu concealing the fact that she had terminal cancer, concerned that nothing hinder the construction of the pastoral training school. In March 1979, Joy died. Ron Killingbeck, local pastor Robert Laumai, missionary Wayne Guge, and others continued building the new Bible school. The Executive Committee of the Assemblies of God of Vanuatu decided to name the new school, Joy Bible Institute, in honor of Joy Killingbeck. The year 2011, JBI celebrates its 30th anniversary. During those 30 years, scores of pastors have been trained and Assemblies of God churches have been planted in every province of Vanuatu. If you feel that the Lord is calling you to pastoral ministry, we would be happy to help you prepare to answer God’s call upon your life.